Enjoy some fishing, water skiing, boating, hiking, or biking on your next visit to Possum Kingdom State Park. Come experience the clear blue water and the amazing scenery at Possum Kingdom State Park. Enjoy 19,000 acres of clear, deep water to play in and plenty of places to launch and park your boat. The picturesque cliffs and 310 miles of shoreline offer shelter from the Texas winds for skiing, snorkeling, tubing, wakeboarding and more. At the same time, there is plenty of open water for sailing and catching air on a personal watercraft. The park is lo­ca­ted in the rugged can­yon coun­try of the Palo Pinto Mountains and Brazos River Valley. It is ad­ja­cent to Possum Kingdom Lake, with 20,000 acres of clear, blue water. 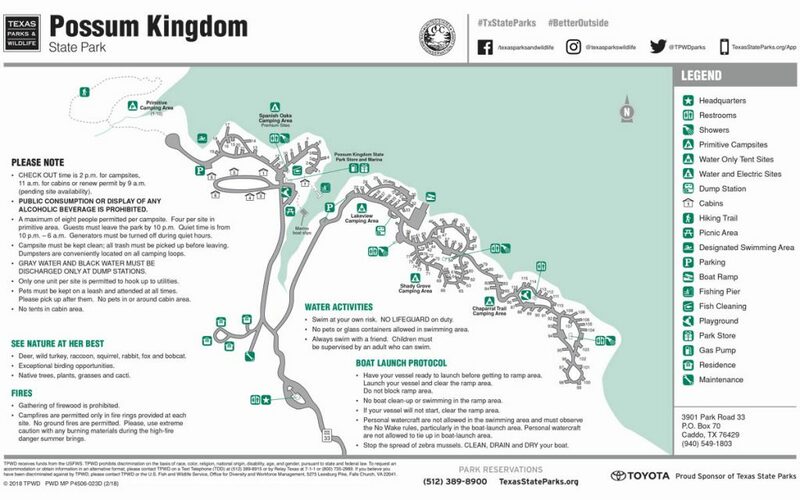 Possum Kingdom State Park also offers hiking, biking, nature study, and fishing. Watercraft rentals are available at nearby marinas. 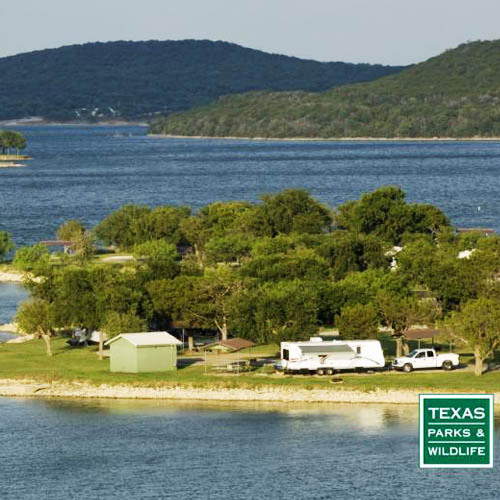 Possum Kingdom State Park offers a wide variety of overnight lodging besides camping, but if you’re a camper, choose one of our water and electricity sites, water-only sites, or primitive walk-in sites. If you prefer the cabin life, the park provides air-conditioned cabins at reasonable rates.